“That I will give you the rain of your land in his due season, the first rain and the latter rain, that thou mayest gather in thy corn, and thy wine, and thine oil.” Deu 11:14 (KJV). 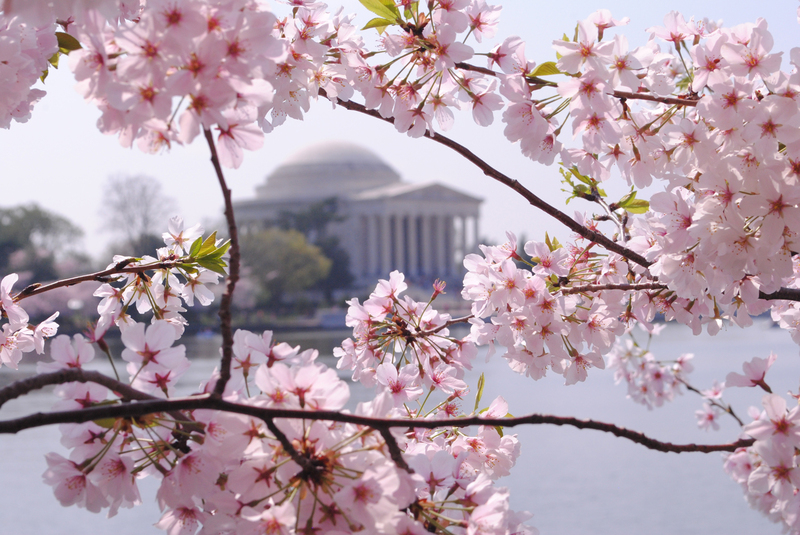 Washington, D.C., like the return of the cherry blossoms. The return of the cherry blossoms is as refreshing as the scripture in Deuteronomy where the Lord promises to send the fresh rain of spring and restore bounty and blessings to the arid places of the land. As we celebrate the return of spring with all of its budding blossoms, long sunny days, singing birds and emerald grass, we should take inventory and remind ourselves that when we have neglected our intimate time with the Lord, He longs to breathe new life into us, in order to revive what may have died in our spiritual lives. Deuteronomy 32:2 heartily proclaims, “My doctrine shall drop as the rain, my speech shall distil as the dew, as the small rain upon the tender herb, and as the showers upon the grass” (KJV). We, who belong to the Lord Jesus Christ, often find that like winter, we have sometimes been cold, frozen and indifferent to our Lord. Sickness, lack of promotion, money woes and relationship troubles often cast a cold shadow in the life of the believer, preventing us from enjoying life in our Lord. This is the reason why the Lord uses such lush and life-affirming scripture to bring us back to a place where we are not simply existing but living. The sights, sounds, smells and joy of spring resonate with us because life is preferred over death. So, if you have become complacent, winter weary and cold, let spring abound around you and inside of you. Embrace the life-giving affirmations of God’s word and shake off the spiritual winter blues. Psalm 103: 2 encourages us, “Bless the Lord, O my soul, and forget not all his benefits” (KJV). Spring is a literal reminder that despite whatever appears to be dead in our spiritual lives, the living God has conquered death and has given us victory in Christ Jesus. Isn’t it amazing that a few months ago, many of us were surrounded by snow covered landscapes, ice-laden fields and polarizing vortexes that sapped our strength and caused us to wonder if we would ever experience the warmth of the sun again. But just like that, one day, one blossom peeked through a snow covered branch. A daffodil sprung up seemingly out of nowhere. Life has returned. So, spring is here. Your spiritual spring is here too. God uses the visual image of bones because nothing says death like looking at dry bones. The refreshing spring of the Word of God breathes life into every dead situation that we wish to present before the Lord. Look all around you. Life is winning. Celebrate by walking close to Him like never before. Despite your “winter”, the cold could not prevent the life blood of Jesus Christ from reviving your land. Celebrate His life in you as you are restored to strength and vitality. Elder Jerome Woods, II is the husband of Alana M. Woods and is the son of the late Jerome Woods, Sr. and Larina Woods. He is a Washington, D.C. native and associate Elder at High Calling Ministries pastored by George W. Hawkins, Jr. Elder Woods is a graduate of The George Washington University (1994) where he received his Bachelor of Arts in English Literature with minors in Sociology and Latin Classical Humanities. Elder Woods received his Juris Doctorate in 1997 from The Catholic University of America, Columbus School of Law.